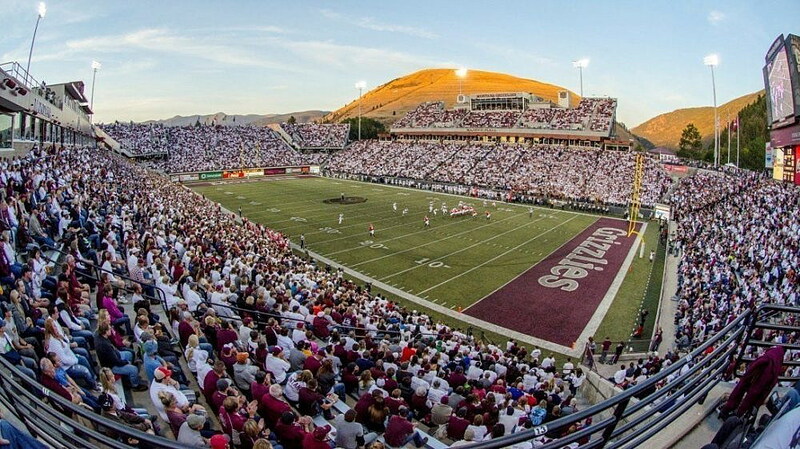 The Montana Grizzlies will open the 2018 football season ranked No. 24 in the STATS FCS preseason media poll the organization announced Monday. The Griz are one of only three teams in the Big Sky Conference to earn a preseason top-25 ranking, with defending conference co-champion Weber State entering the poll at No. 8, and Eastern Washington coming in at No. 9. Montana re-enters the top-25 after finishing the 2017 season out of the rankings with a 7-4 record. The Griz were also left out of the 2017 preseason poll after falling out of the top-25 at the end of the 2016 season. Northern Iowa, Montana’s week-1 opponent, came in ranked No. 13 after finishing the 2017 season at No. 17 with an 8-5 record and advancing to the second round of the FCS playoffs. Western Illinois, UM’s week-3 opponent, came in just out of the top-25 at No. 27 with 401 points. The Grizzlies picked up 626 points in the poll to come in at No 24. Weber State picked up 2,815 points at No. 8 while Eastern Washington earned 2,541 at No. 9. Defending national champion North Dakota State came in as the strong favorite to repeat at No. 1 with 3,919 points and 151 first-place votes. James Madison came in ranked No. 2 with 3,764 points and six first-place votes. A national panel of sports information and media relations directors, broadcasters, writers and other dignitaries select the STATS FCS top-25. A first-place vote is worth 25 points, a second-place vote 24 points, all the way down to one point for a 25th-place vote. The Top 25 will be released every Monday afternoon during the regular season, except for Sunday morning, Nov. 18, before the selection of the 24-team FCS playoff field. A final Top 25 will follow the FCS championship game, held Jan. 5 in Frisco, Texas. In other preseason prognostications, Montana was selected No. 18 in the Athlon Sports poll and No. 23 by Lindy’s Sports Magazine. The Griz open the second era under Hauck on Sept. 1 against Northern Iowa, with kickoff set for 7 p.m. at Washington-Grizzly Stadium.